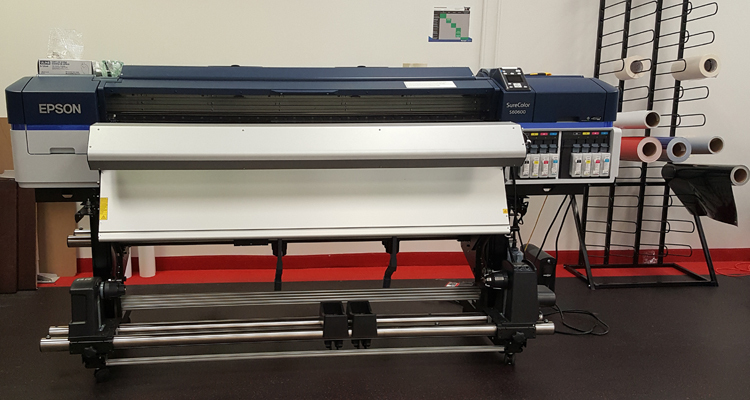 When Liz Allen’s entrepreneurial spirit kicked in, and she decided to open up a FASTSIGNS franchise in Oviedo, Fla., she had a number of items on her to-do list, but perhaps few as important as purchasing a wide-format printer for the shop. 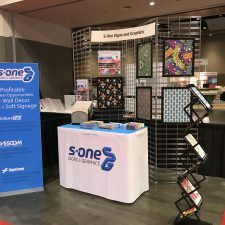 When attending the ISA Sign Expo in Orlando earlier this year, she jumped on a discount offered in a show special, and purchased an Epson SureColor S60600 64-inch solvent printer from LexJet. The Epson SureColor S60600 at FASTSIGNS Store 2106 in Oviedo, Fla.
Allen opened her new FASTSIGNS store in July, and because she’s new to wide-format printing, she hired Mike Howell, a seasoned sign shop printer, to manage production of banners, floor graphics, magnets and more of the shop’s offerings. Every so often, that oddball project walks into the shop that allows you to test new materials and production methods. 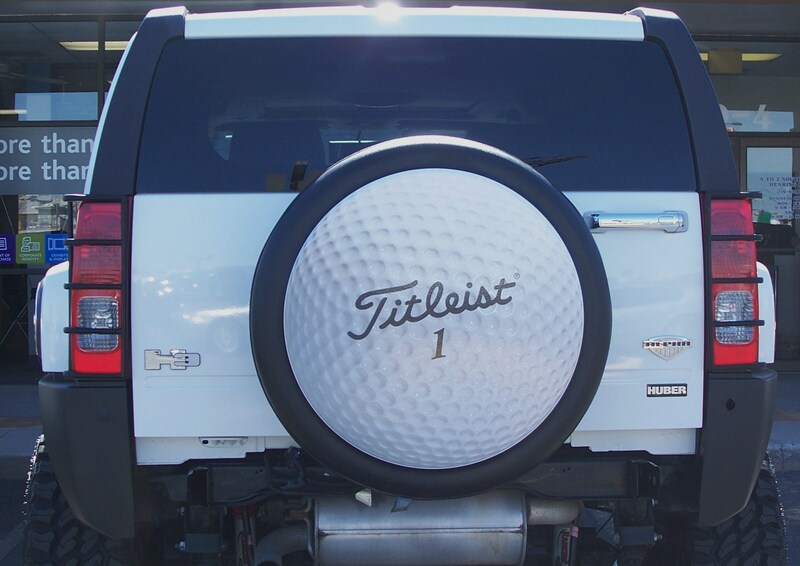 In the case pictured here, it was a golf ball project for a customer’s tire cover on the back of their Hummer. The challenge was the surface of the tire cover, which wasn’t the typical soft vinyl or fabric, but a semi-rigid, slick, pebbled surface that would be difficult for a typical vinyl graphics application. This project drove to FastSigns – Airway in El Paso and gave manager Alan Russell an excuse to test LexJet’s Simple MTS Adhesive Vinyl. Russell says that he had already begun experimenting with the high-tack vinyl designed for multi-textured surfaces on the floors of a local industrial complex, Mallory Manufacturing Company, but also gets the call for off-the-wall applications to slick and textured surfaces on the sides of Porta Potties and trash cans. The golf ball image was printed on a Mimaki JV33 solvent printer, laminated with an optically-clear cast vinyl, and die cut to its 36″ x 36″ circular dimensions. Then, Russell put some reference marks on the tire cover to align the graphics, put the tire cover on the board to give it more rigidity for application and applied the graphic. Originally, the client wanted to wrap the entire cover, but Russell discouraged that concept since he felt a wrap would be much more difficult, thus more expensive for the client, and it would simply look better in the middle of the cover. 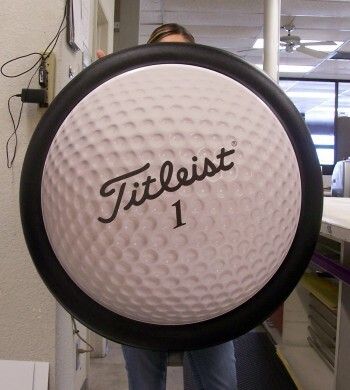 Russell was right, as the golf ball stands out surrounded by the black of the tire cover. 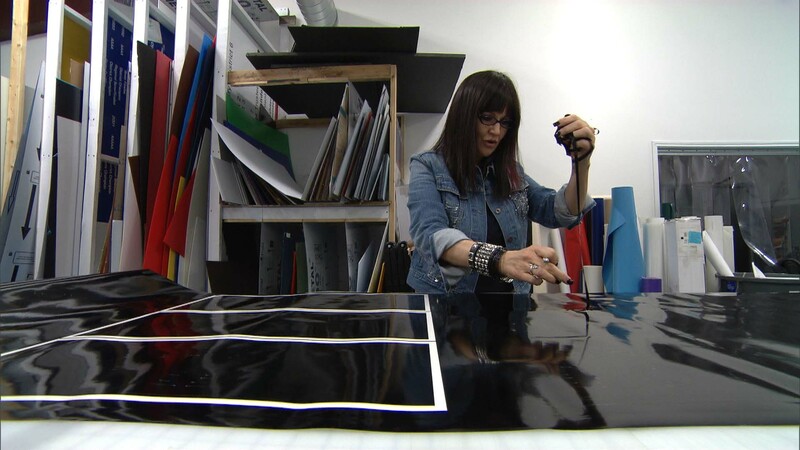 FASTSIGNS CEO Catherine Monson as "Louise Steely," and Gary, a Culver City FASTSIGNS employee, apply graphics during the filming of Undercover Boss, which aired on CBS last Friday. Photo courtesy Studio Lambert. Reality is not always as it seems, especially reality television. Just ask FASTSIGNS CEO Catherine Monson, who was recently immersed in the unreal world of reality television. 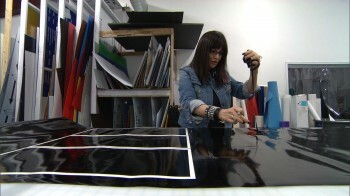 Monson and several FASTSIGNS locations were featured on Undercover Boss, which aired this past Friday, May 4, on CBS. When hours of raw footage are condensed into about 45 minutes of air time, distortion is inevitable. Surprisingly, however, this particular episode of Undercover Boss was relatively accurate, according to Monson. In case you didn’t catch the show Friday night, Monson disguised herself and went to work in the trenches at four FASTSIGNS locations: St. Louis, Austin, Culver City (Calif.), and Phoenix. Each contact at the location was told that they were filming a reality show called Second Chances, and Monson’s “character” was the subject, so it was kind of a show within a show. During the episode we learned about the struggles and triumphs of not only Monson, but the people at the four locations at which she worked. 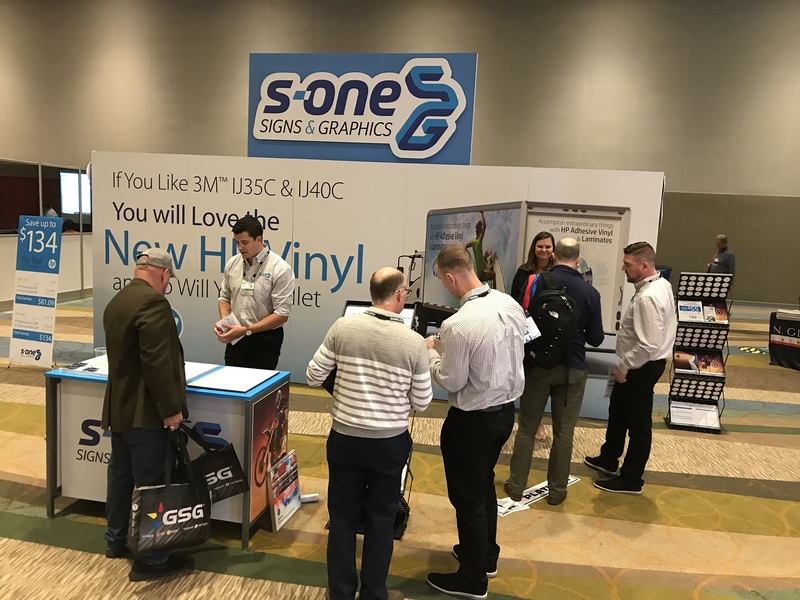 Monson says the four locations were chosen after the production company scouted and scoured the FASTSIGNS franchise network for the most interesting stories. I won’t spoil those stories for you here, in case you didn’t catch it when it aired, since you can see the full episode at http://www.cbs.com/shows/undercover_boss/video/. The show will no longer be available at the CBS website after May 21. 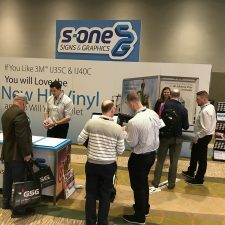 Beyond the personal stories at the locations she visited undercover, Monson was able to identify three areas of improvement for FASTSIGNS corporate: E-mail marketing, training and eCommerce. Monson took the suggestions to heart and FASTSIGNS corporate has begun to implement them. FASTSIGNS CEO Catherine Monson weeding vinyl at a FASTSIGNS franchise shop during the filming of Undercover Boss, which airs Friday at 8 p.m. ET. 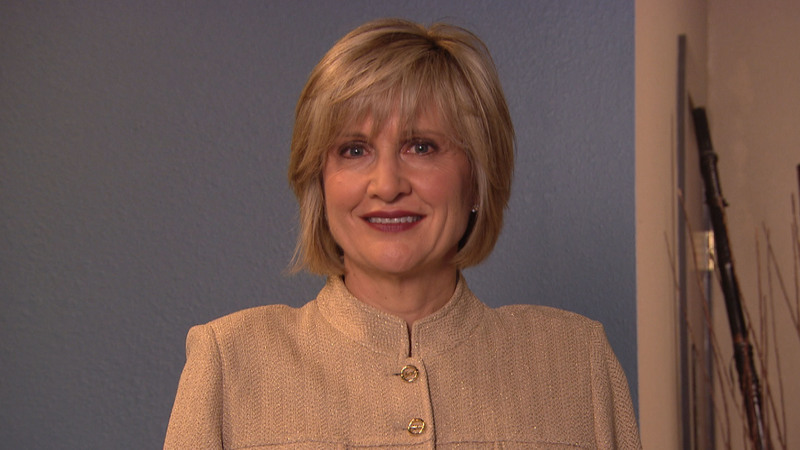 FASTSIGNS and its CEO, Catherine Monson, will be featured on the CBS reality television show, Undercover Boss, this Friday at 8 p.m. ET. In case you’re not familiar with the concept of the show, a company’s owner/CEO is disguised and goes to work as a regular employee. Their experience is captured, edited and condensed to one hour of dramatic and comedic highlights. According to FASTSIGNS, when Monson became CEO of the 25-year-old company in 2009, one of the biggest issues the company was facing was a lack of communication between the corporate office and its franchise partners, as well as sales declines coinciding with the recession. 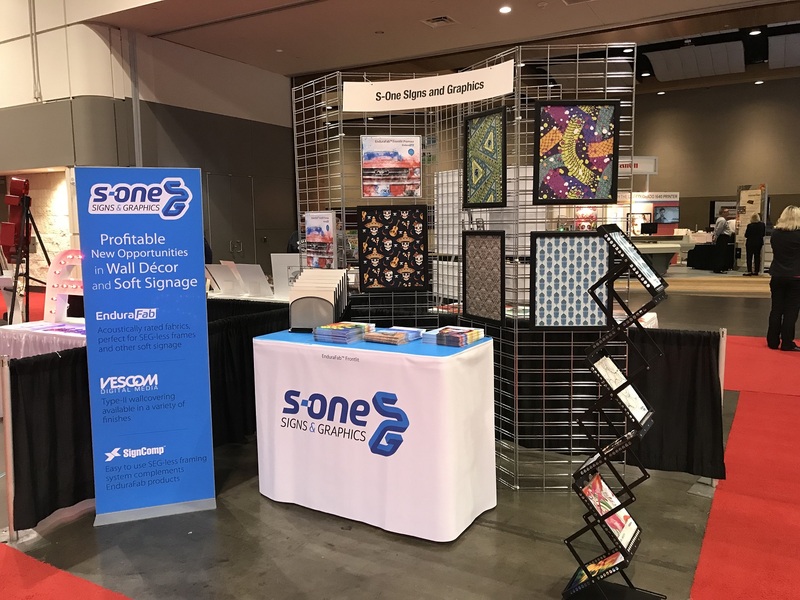 Monson embarked on a tour around the country to visit franchise partners and put a plan in place to turn the company around, including creating a sales incentive program. She initiated monthly conference calls with the franchise system to provide updates and answer questions and concerns. To further develop and motivate the corporate staff, she began holding monthly company meetings to share financial updates and other company news, and to publicly praise team members on their projects and efforts. 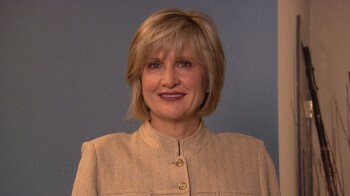 FASTSIGNS CEO Catherine Monson before being disguised for the CBS reality show Undercover Boss. 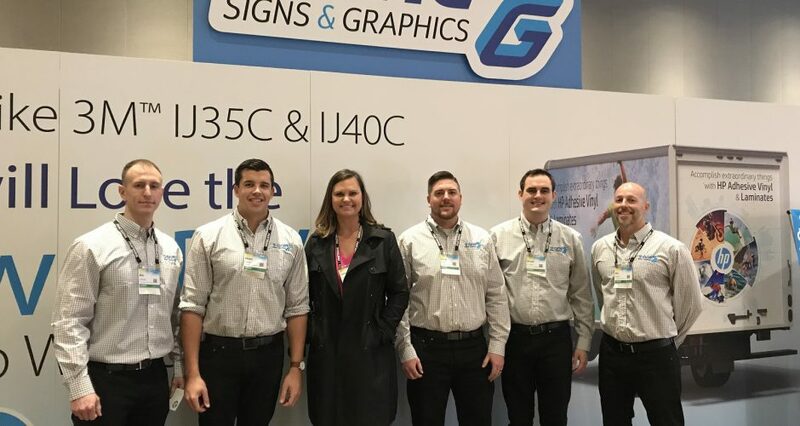 Through her Undercover Boss experience, FASTSIGNS says, Monson gained valuable insight into key areas of the business that she will continue to fine-tune and improve in the coming months. LexJet has teamed up with Expand International of America to provide its customers with high-quality portable banner stands that enhance displays for a professional, subtle and sleek look in a variety of applications. 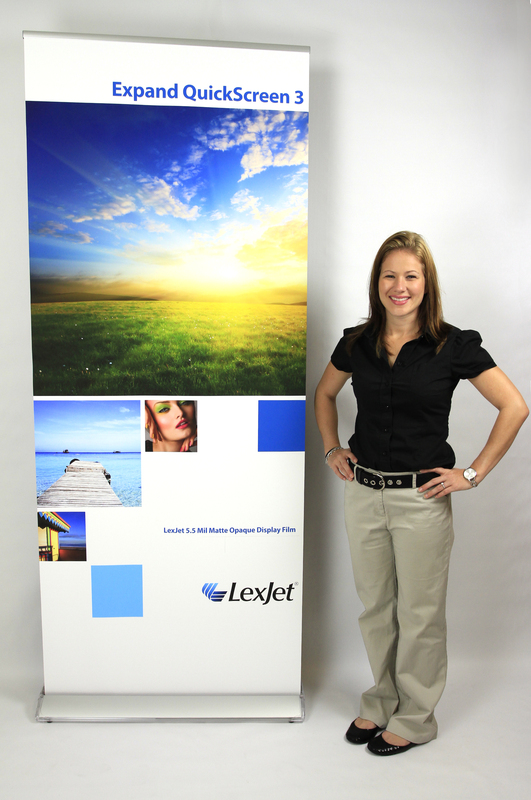 All but one of the banner stands from Expand being offered by LexJet come with a lifetime warranty. The feeling is mutual, according to LexJet’s product manager Dione Metnick. “The Expand line of banner stands gives our customers a top-of-the-line choice to combine with LexJet’s media for the discerning end user – an end user who understands that for a slightly higher price in the short term they’ll save money over the long haul, especially with the lifetime warranty that comes with the banner stands,” says Metnick.